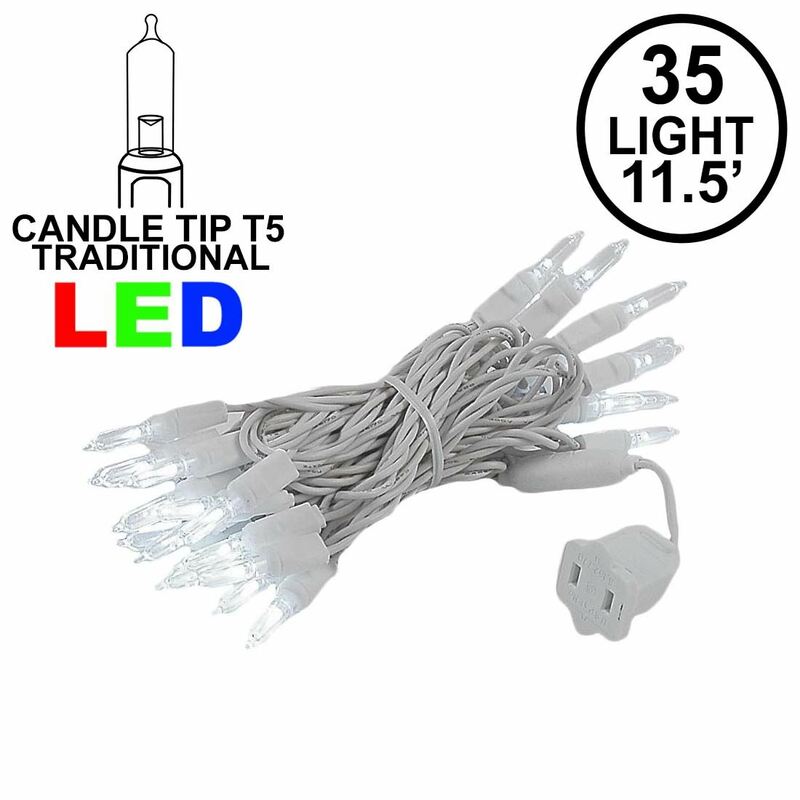 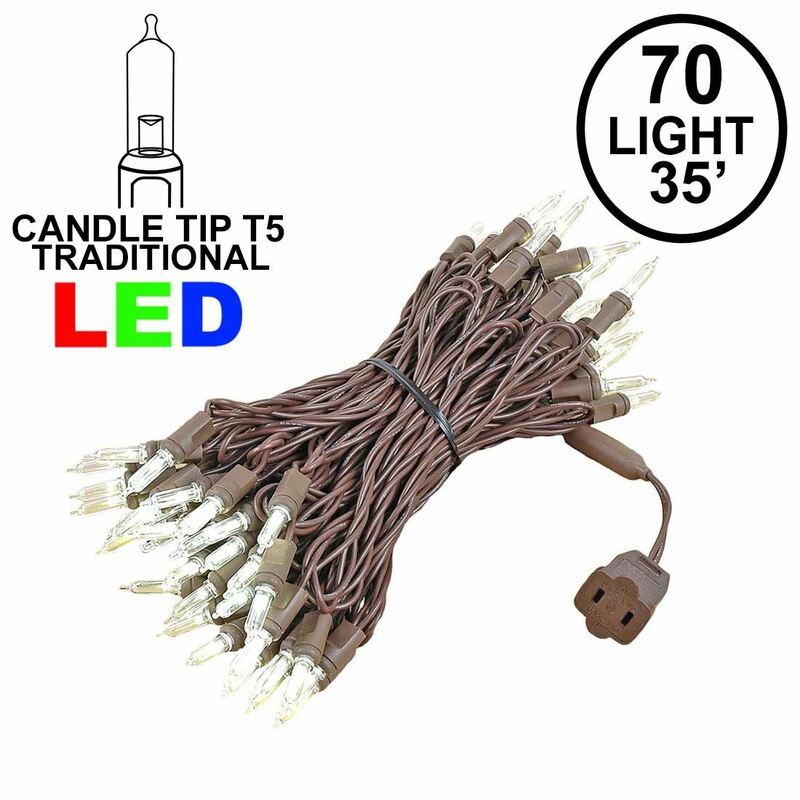 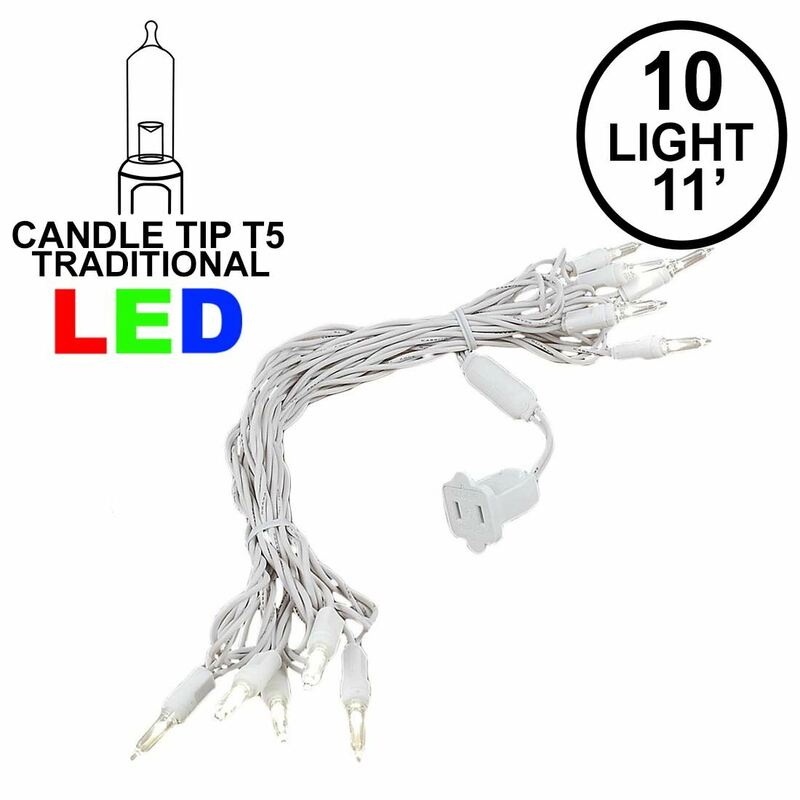 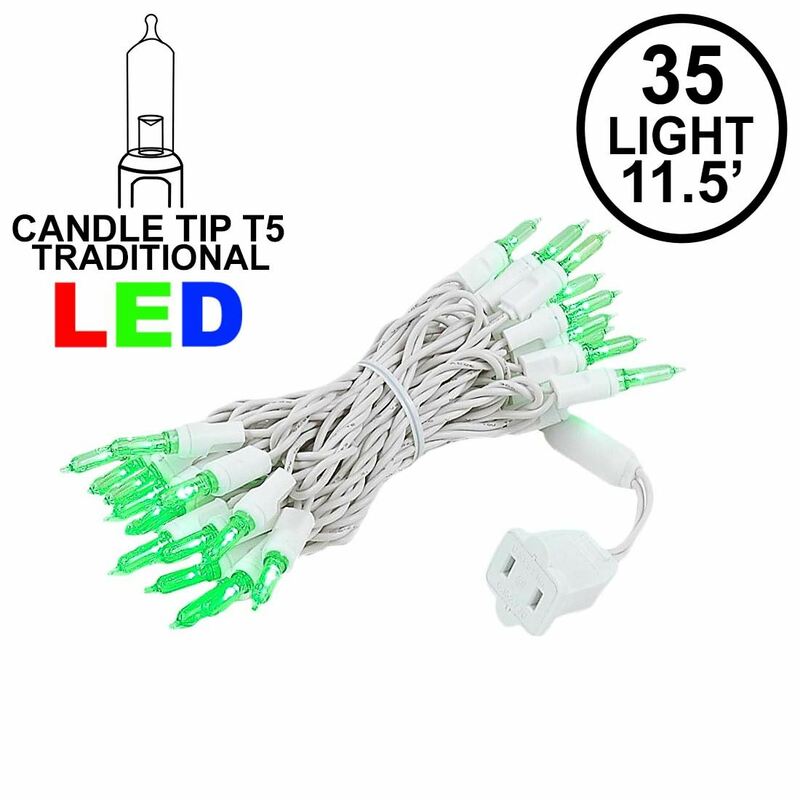 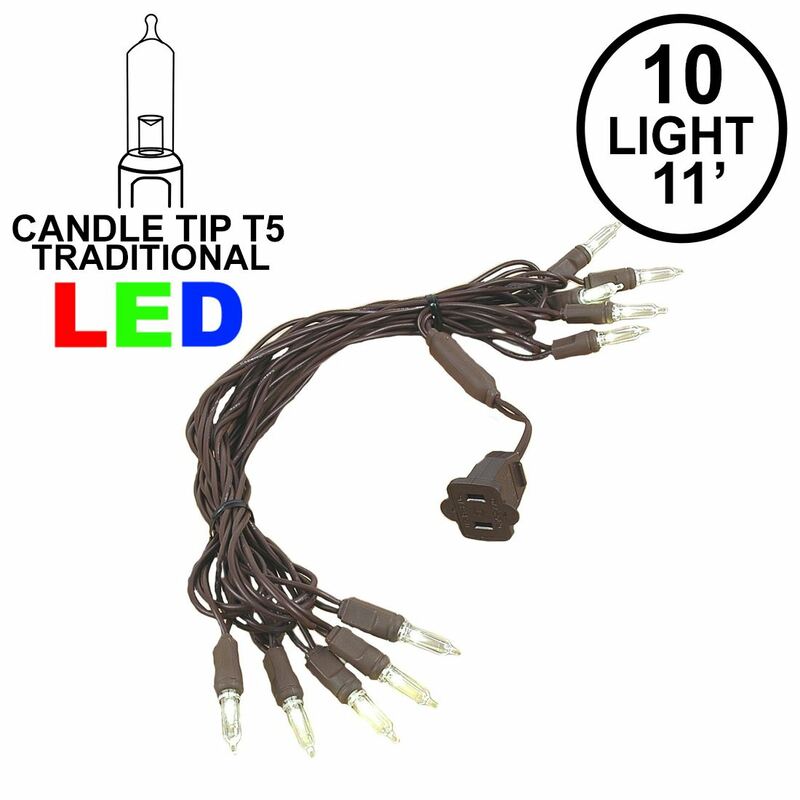 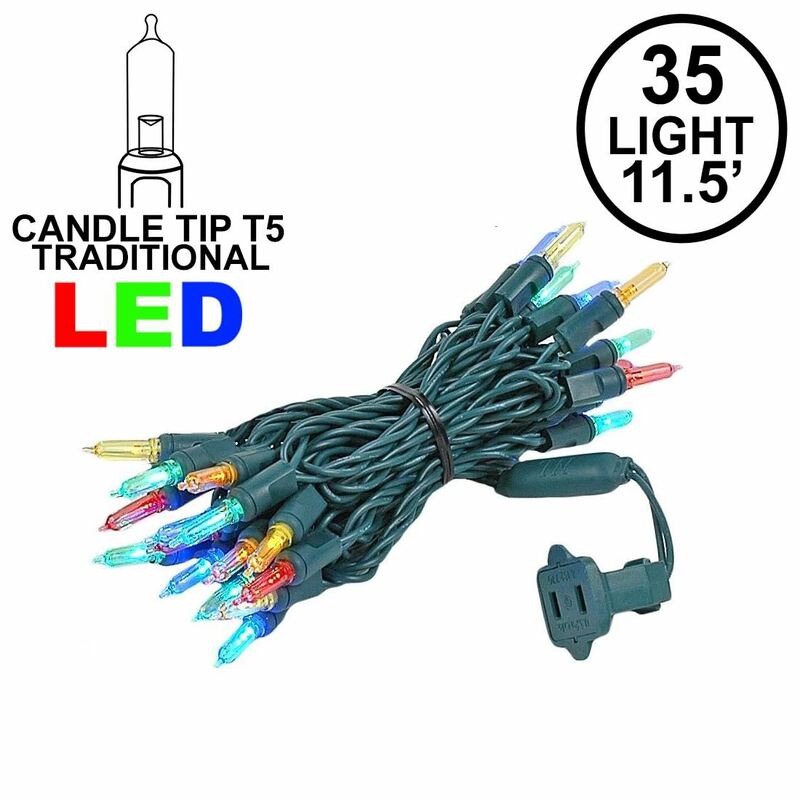 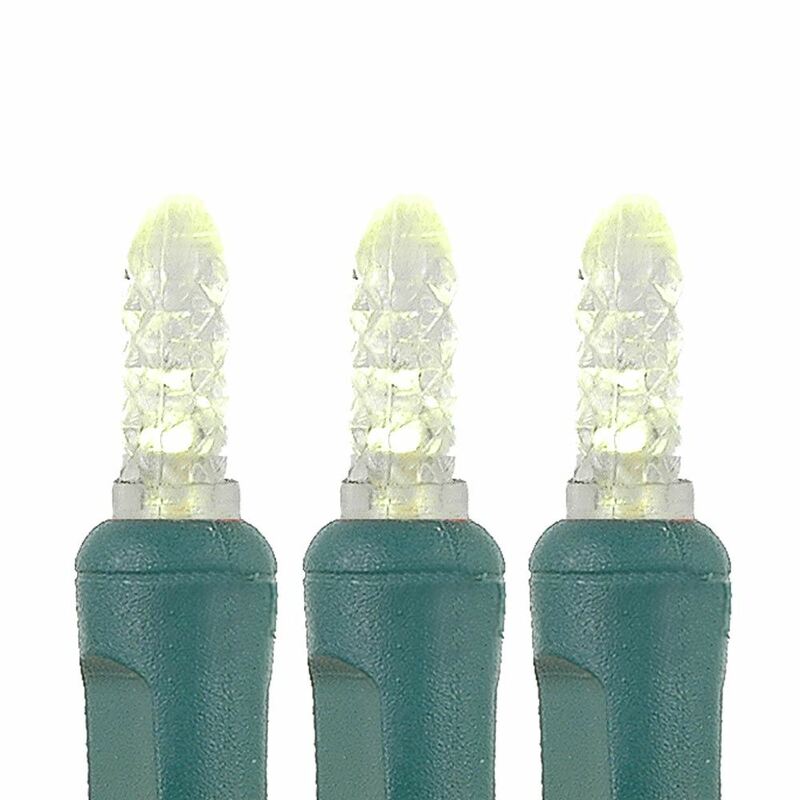 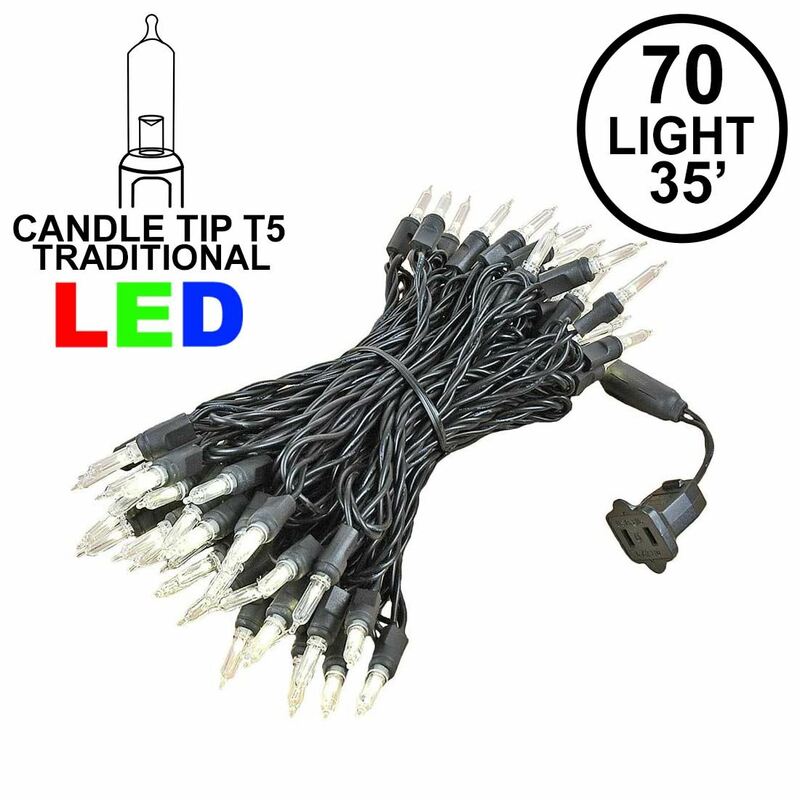 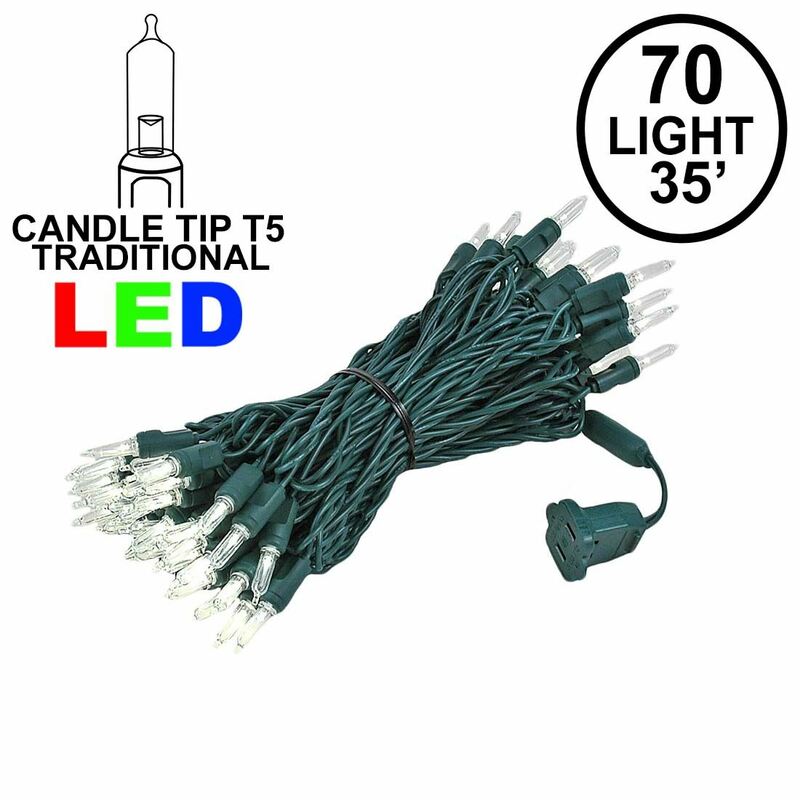 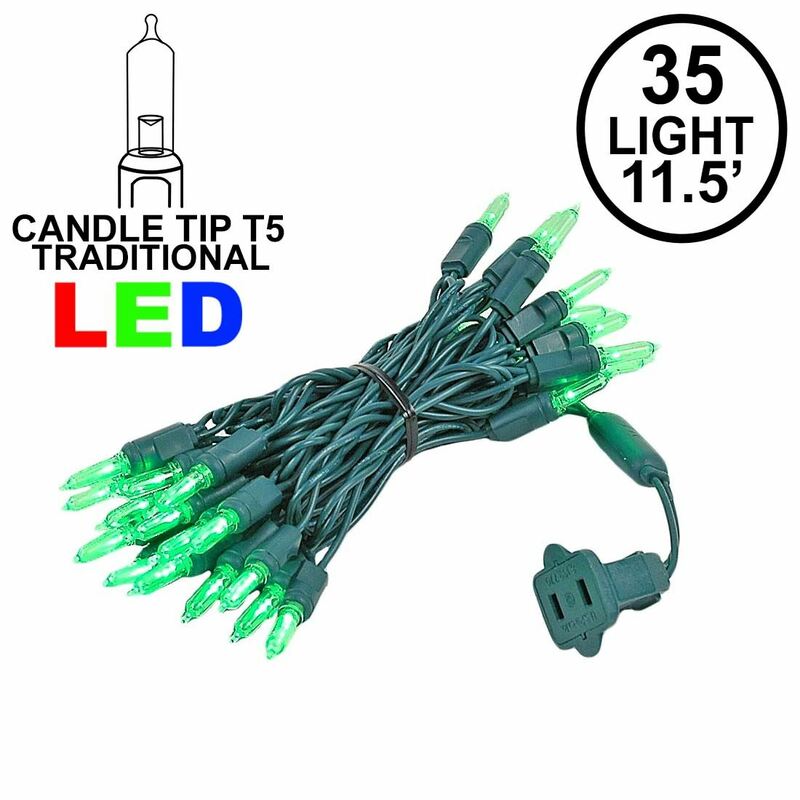 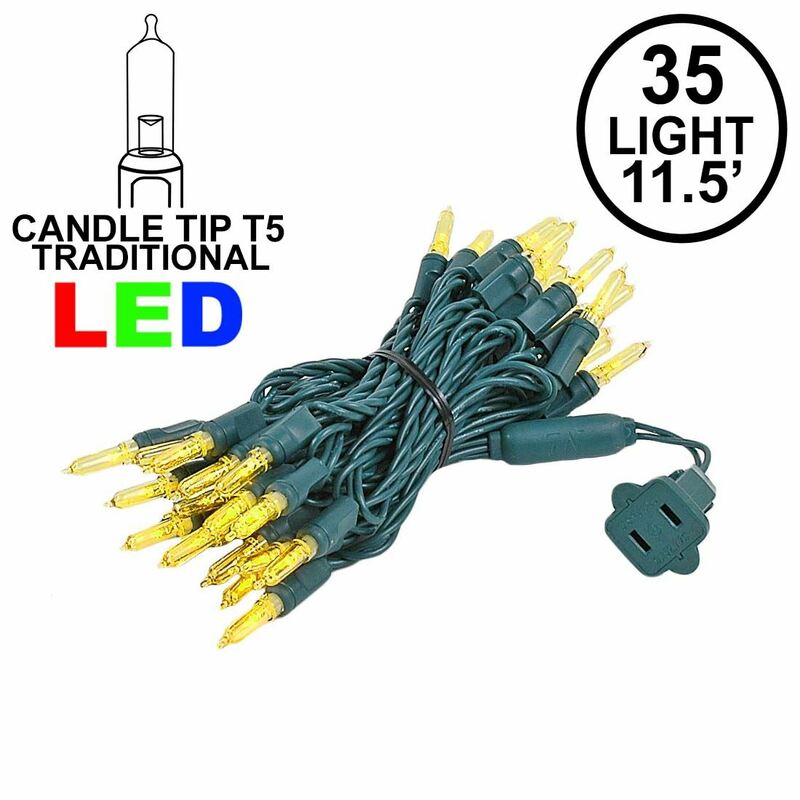 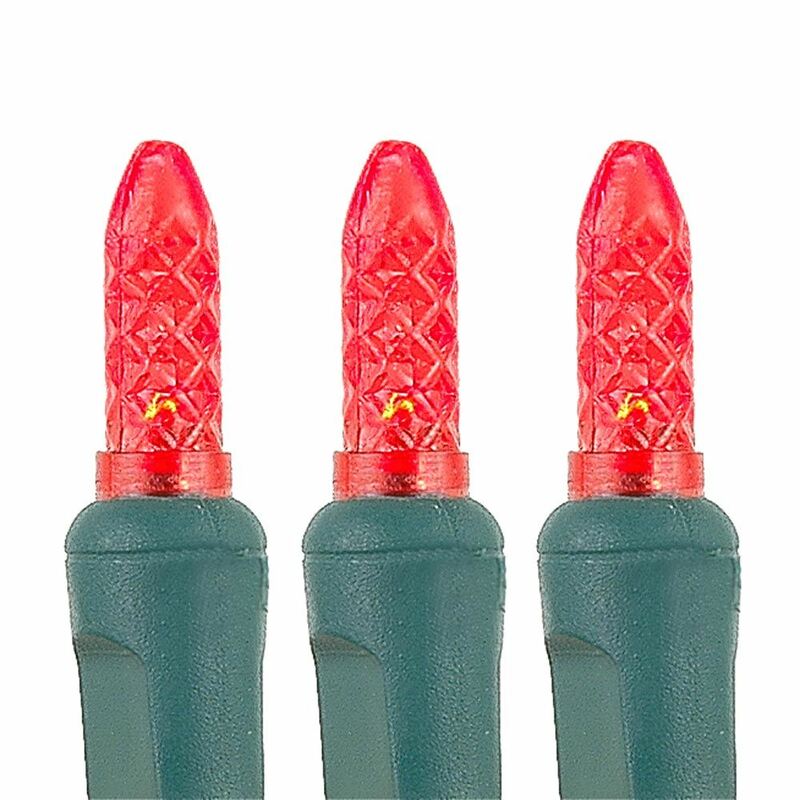 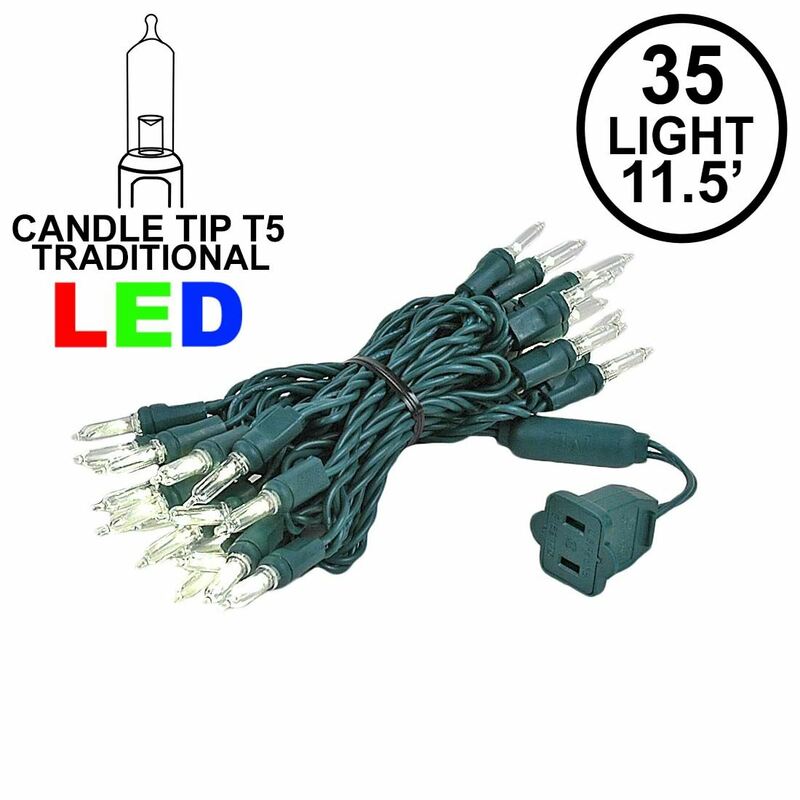 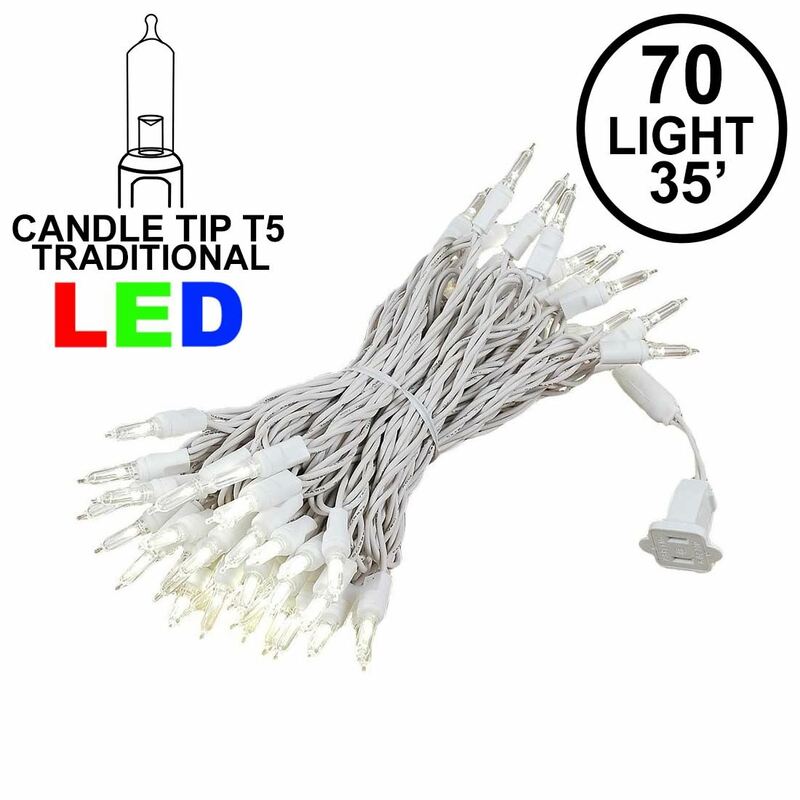 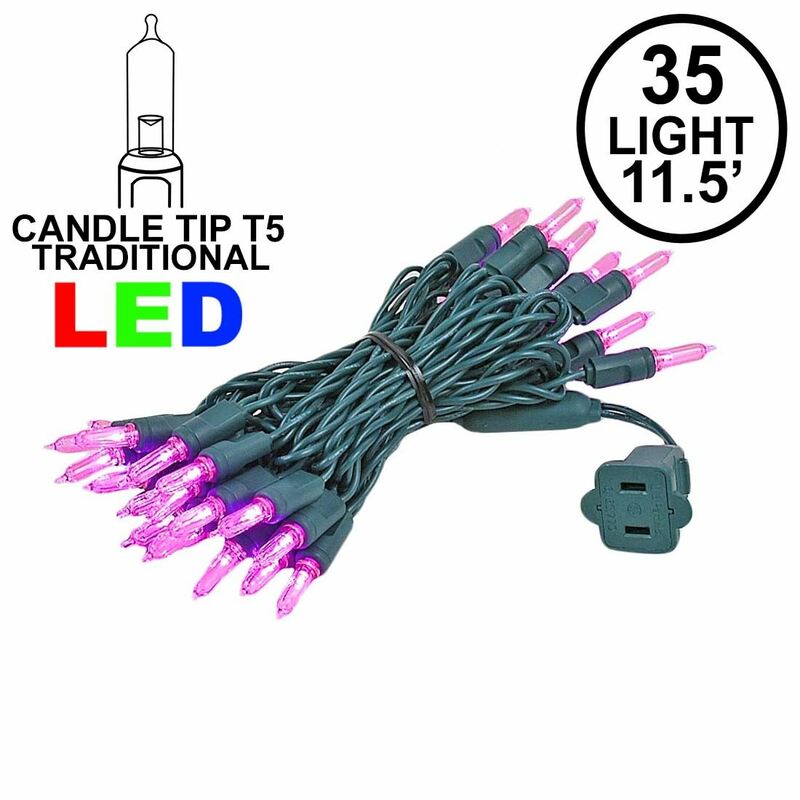 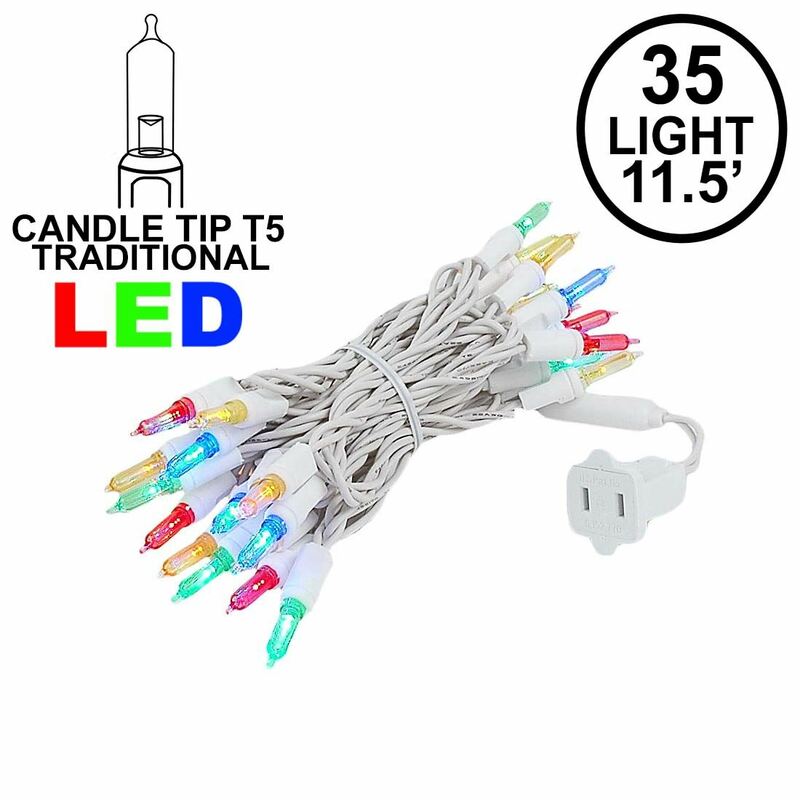 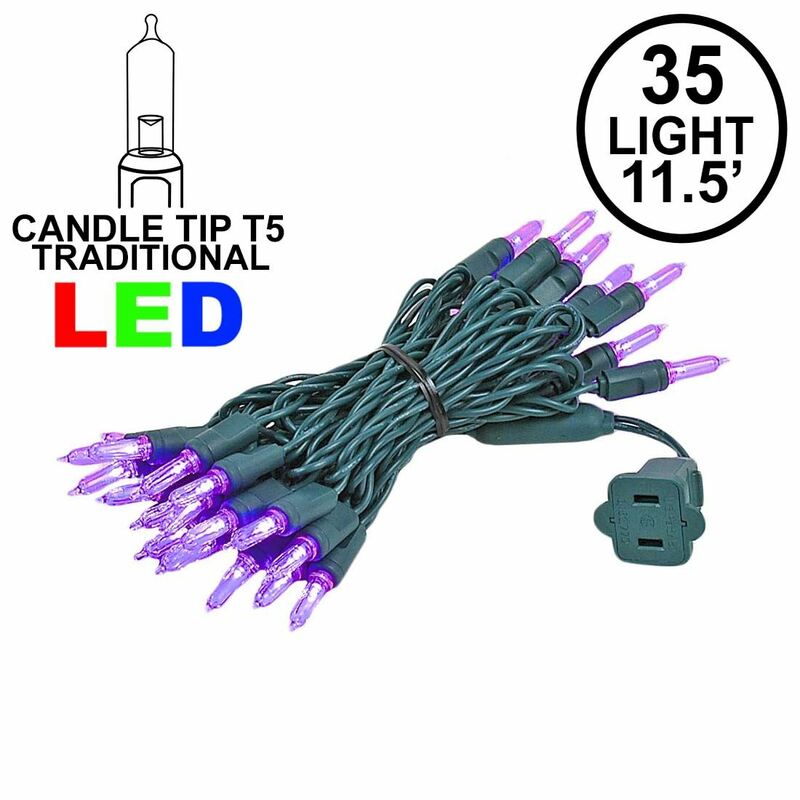 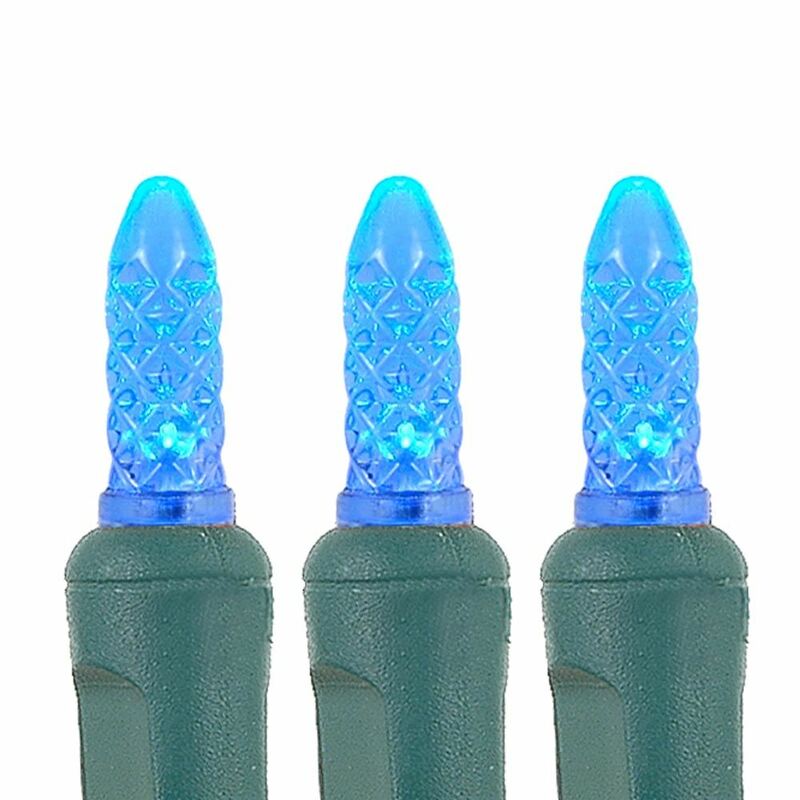 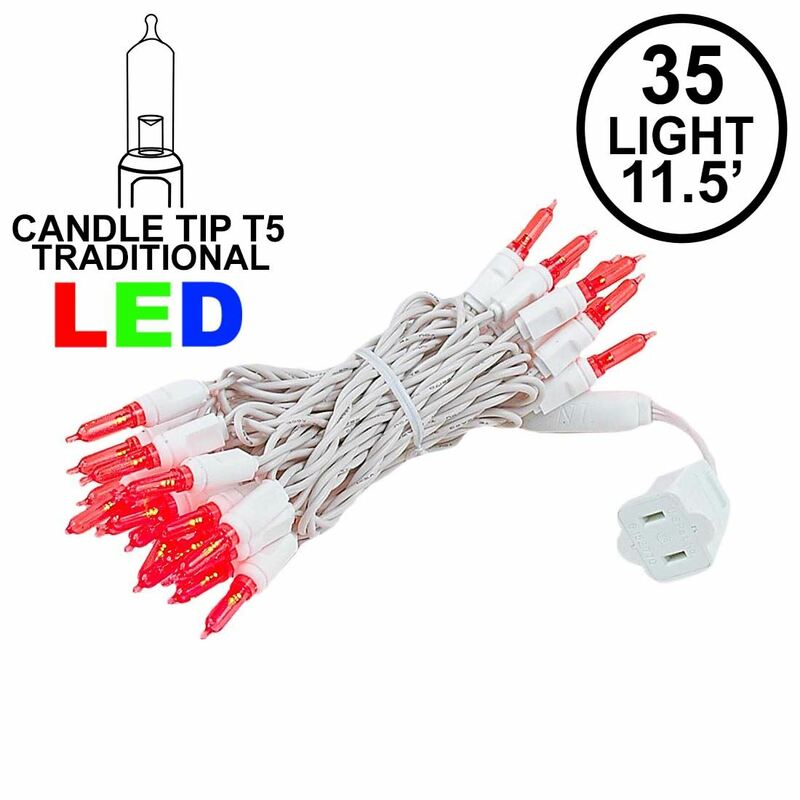 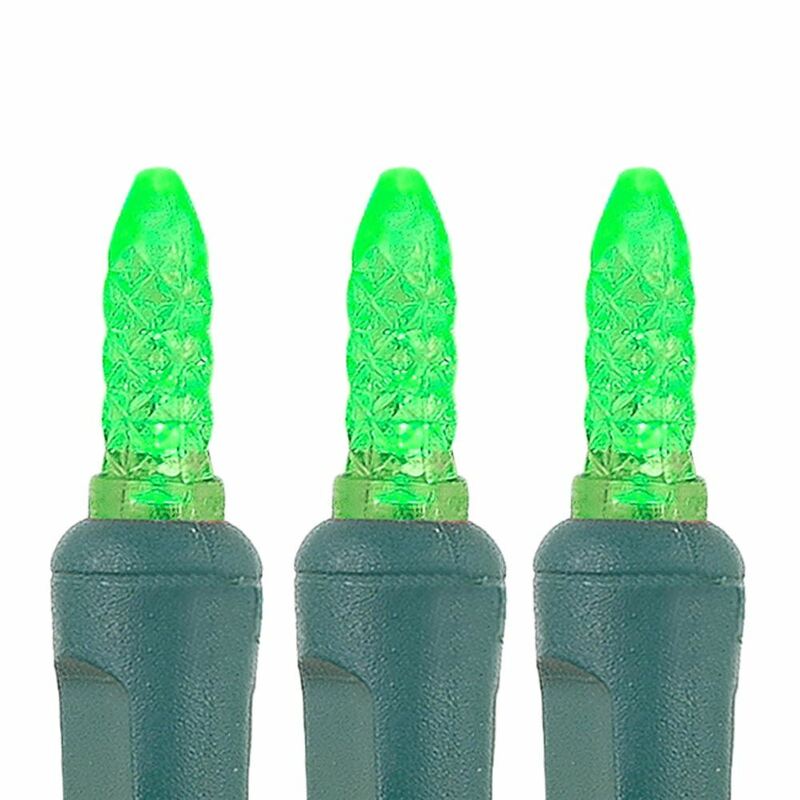 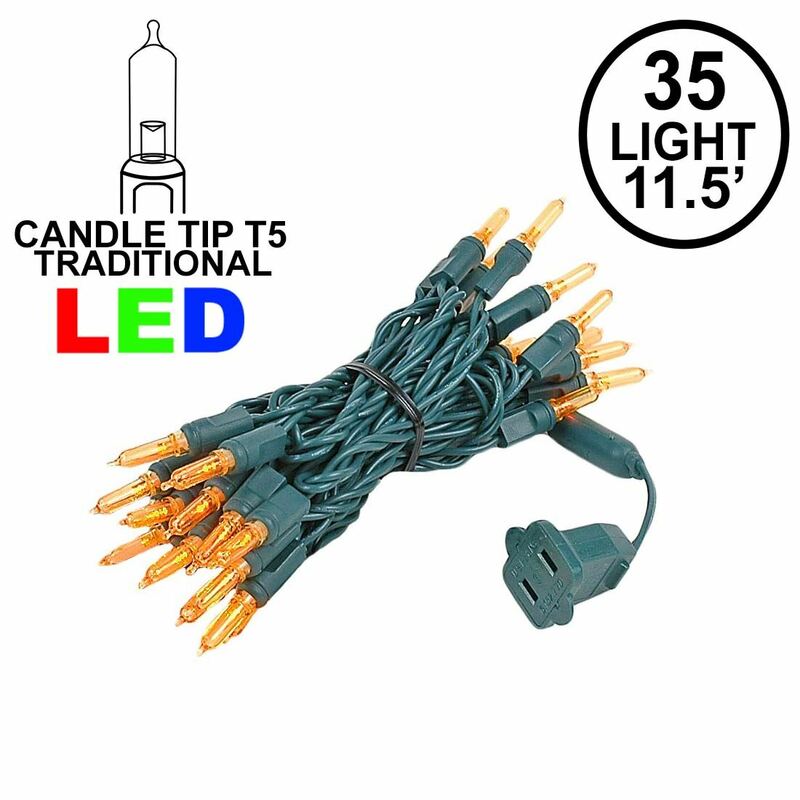 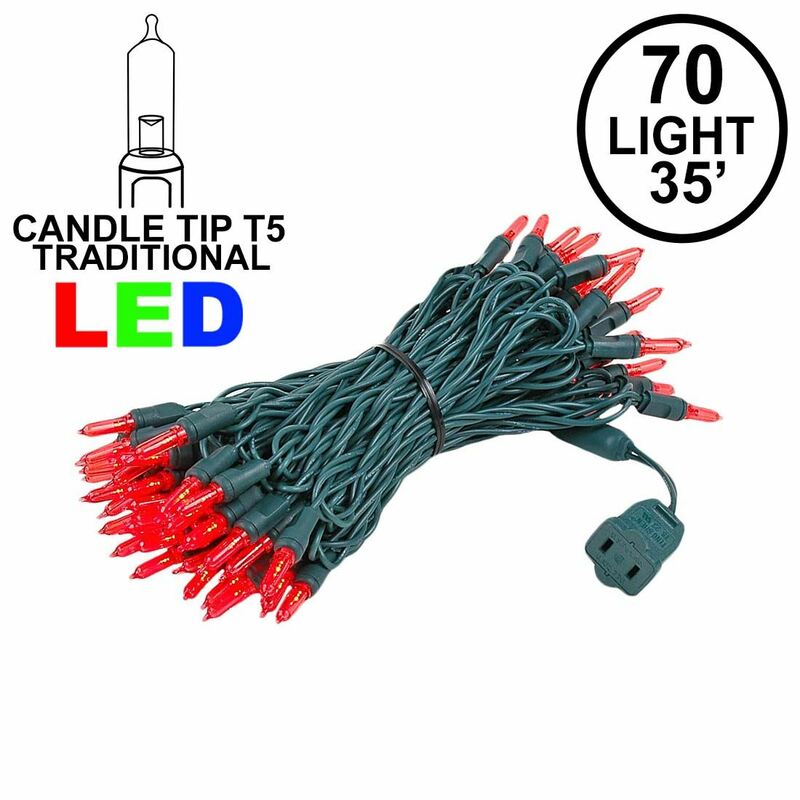 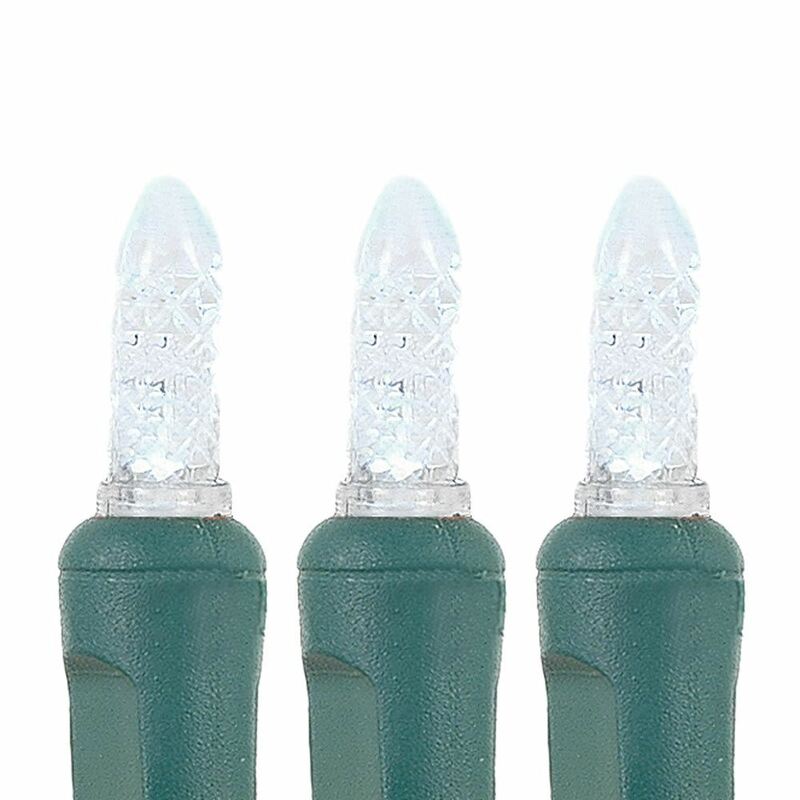 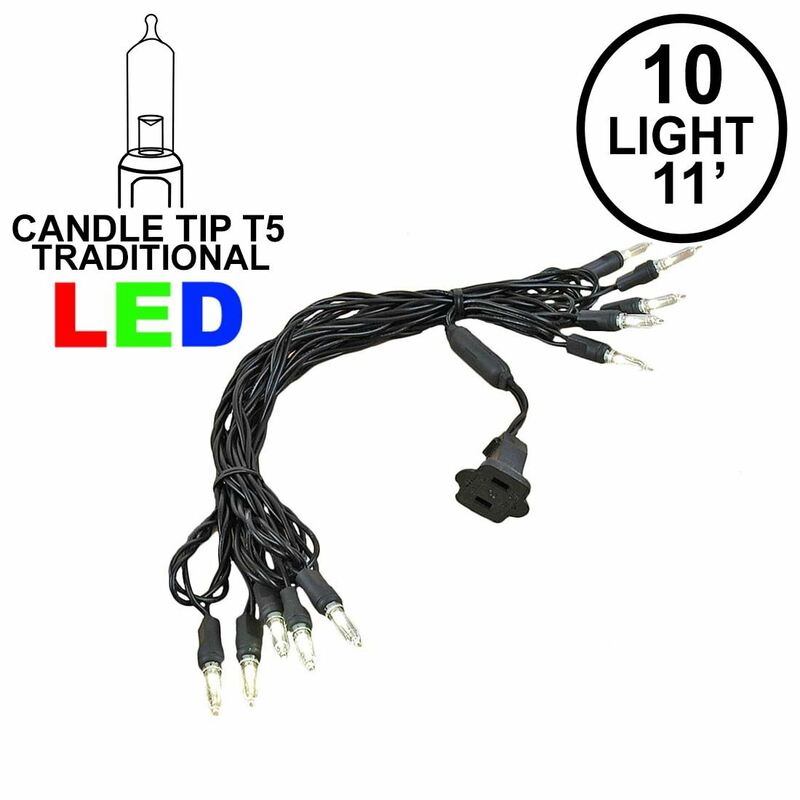 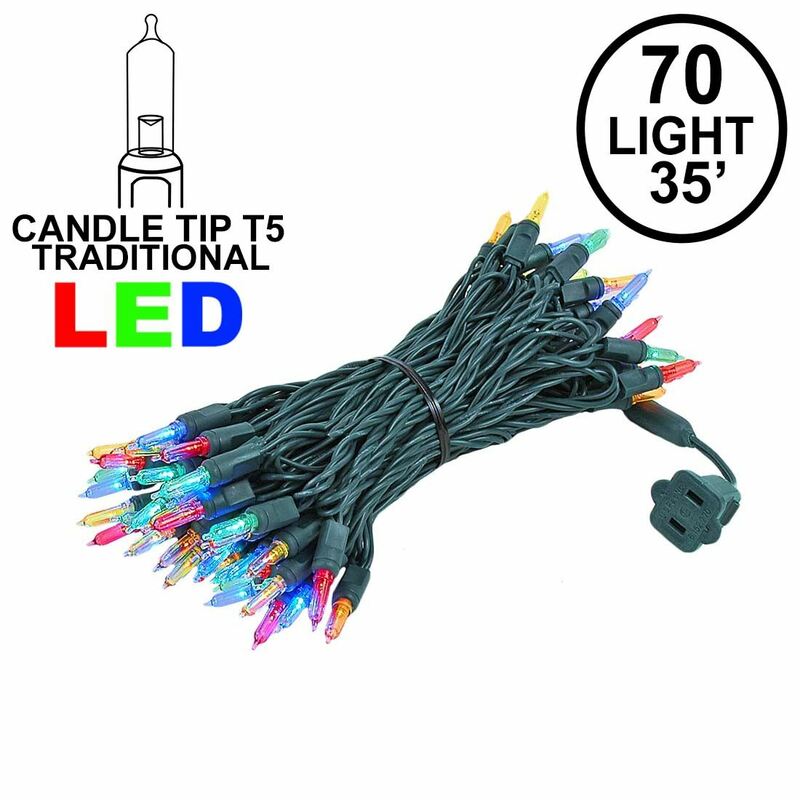 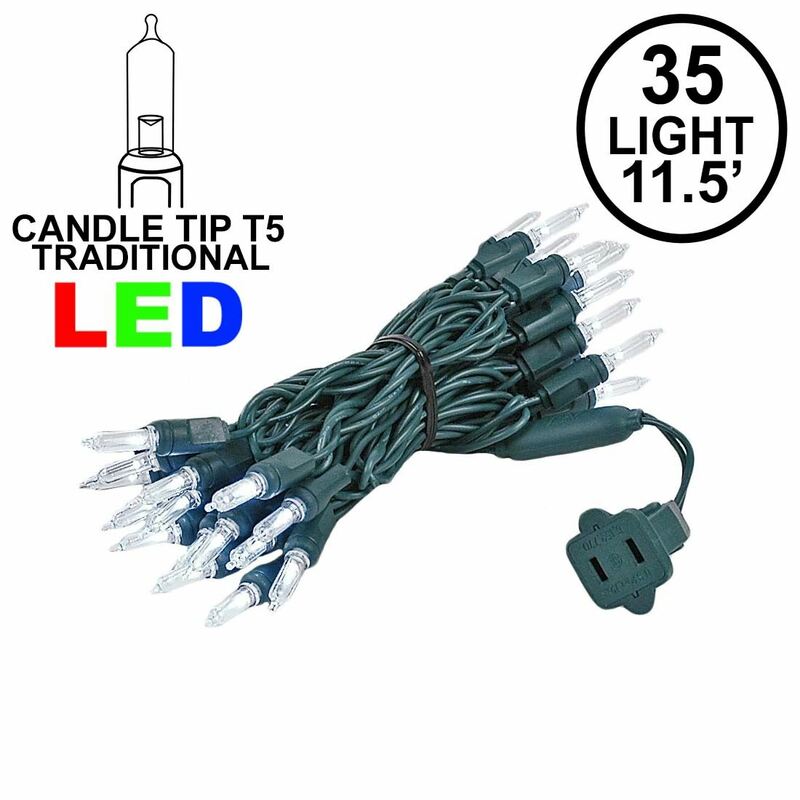 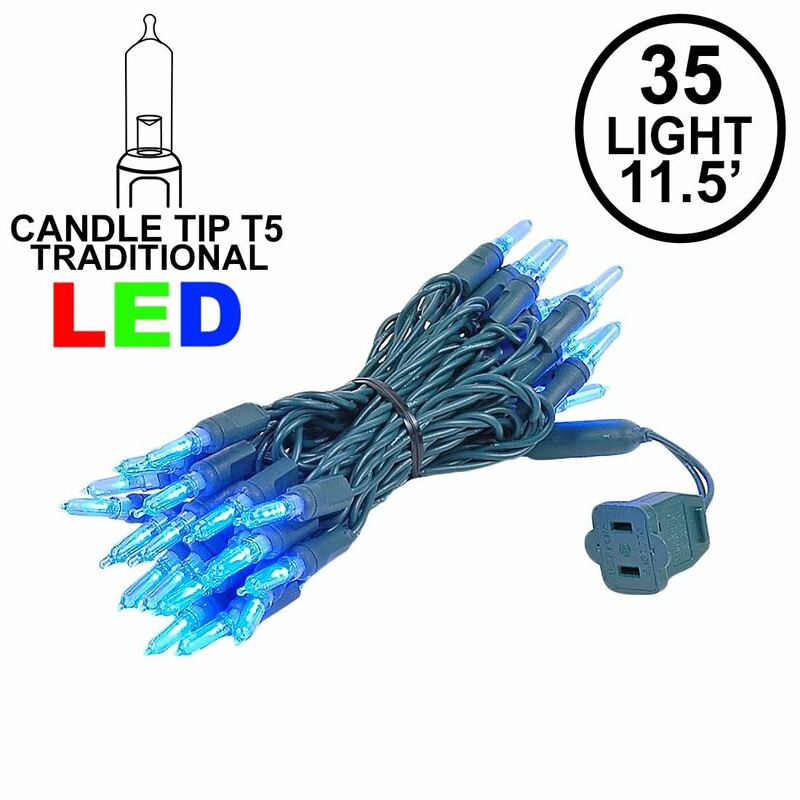 These LED Christmas lights have a smooth candle tip cover that has the same look of traditional incandescent Christmas mini lights. 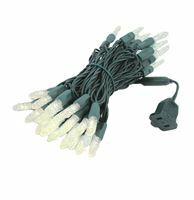 Each traditional led Christmas light features a one piece modeled design for years of maintenance and trouble free use. 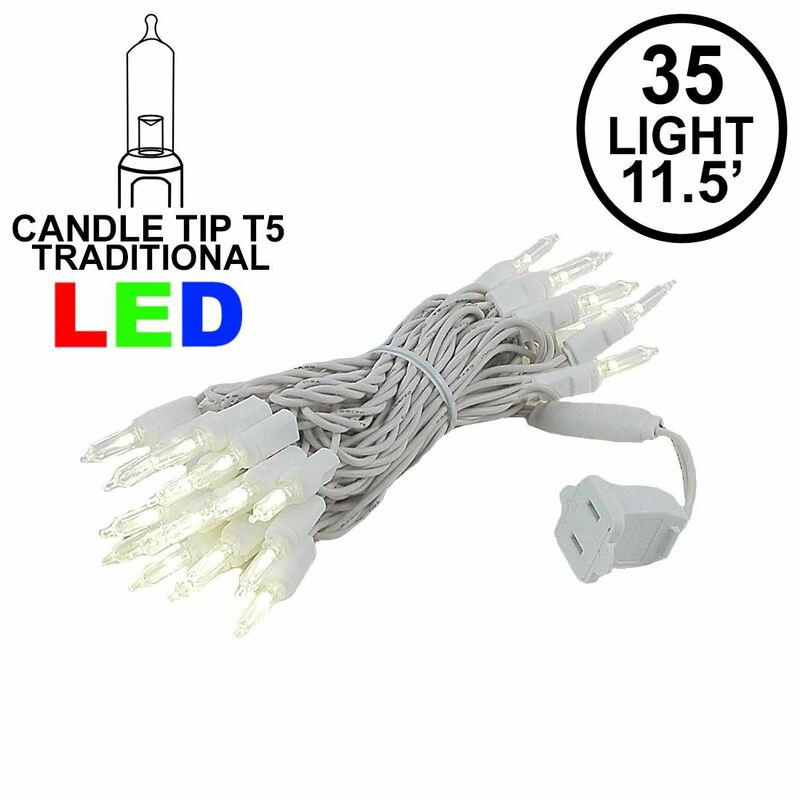 Inside each T5 bulb is ultra bright energy efficient 3MM wide angle led bulb. 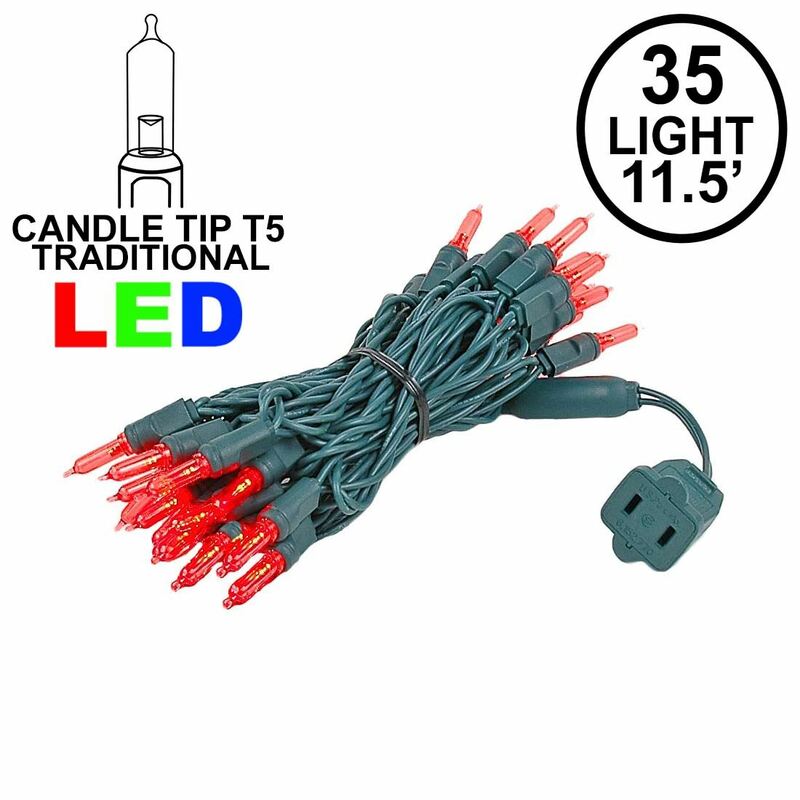 UL listed for indoor and outdoor use.